Testosterone Enanthate is probably the most commonly used form of testosterone by both athletes and bodybuilders alike. Further, in the United States, it is one of the most commonly prescribed testosterone compounds for the treatment of low testosterone or andropause conditions; however, Testosterone Cypionate is the most commonly prescribed when an injectable form is offered. Extremely effective for building muscle and enhancing strength, Testosterone Enanthate can also help with losing fat and it comes with some great news; its very cheap and widely available. In-order to understand exactly how Testosterone Enanthate (commonly referred to as "test-e") builds muscle and burns fat, first well take a look at androgens and what they do in the body. You see, hormones are substances secreted by one cell that has an effect on the functions of another cell. Testosterone is manufactured in the Leydigs cells of the testes (in men) and the adult male produces between 2.5 and 11mgs of Test per day. Testosterone induces changes in shape, size and also can change the appearance and the number of muscle fibers(7). Androgens like testosterone, which is exactly what Testosterone Enanthate is can protect your hard earned muscle from the catabolic (muscle wasting) glucocorticoid hormones(8), thus inhibiting their ability to send a message to muscle cells to release stored protein. Remember, testosterone sends a message to muscle cells to store more contractile protein (called actin and myosin); glucocorticoid hormones send the opposite message. In addition, Testosterone Enanthate has the ability to increase erythropoiesis (red blood cell production) in your kidneys(9), and a higher Red Blood Cell (RBC) count will improve endurance via better oxygenated blood. More RBCs can also improve recovery from strenuous physical activity. Of course, aggression levels can rise dramatically with the use of exogenous testosterone (15); however, its important to remember aggression in of itself is not a bad thing; what we do with it is what makes it right or wrong. At any rate, Testosterone Enanthate holds no mind altering traits or nature whatsoever. Testosterone Treatment only $199/month All-Included All of these great benefits are to be had with the use of Testosterone Enanthate alone, but realistically, it will in most cases be part of a cycle containing one or more other steroids. People who are bulking will probably choose Deca Durabolin or Trenbolone compounds, and of course the possibility of powerful oral steroids like Anadrol or Dianabol. Then we have those who are cutting, and they will probably steer towards Equipoise and once again Trenbolone, along side compounds such as Anavar, Masteron, Winstrol and perhaps Primobolan; all are solid options. Very often users will administer Testosterone Enanthate once or twice a week, but blood levels are still above baseline with this steroid at around day eight (16).Common wisdom holds that the testosterone portion of any such cycle should be equal to or greater than any other injectable steroids portion (on a mg basis); however, this isnt always needed, but its a good rule of thumb to ensure no low testosterone condition exists. Now this is very interesting. You'll note that the most fat was lost by the group in this study who used the highest dose of Testosterone Enanthate (600mgs/week), and the most Fat Free mass, Strength and Muscle Volume was gained, when compared to any of the lower doses studied (14). Basically, the more Testosterone Enanthate you use (and this holds true for almost all steroids), the more gains you'll get! Of course, that the previous statement will ruffle some feathers in the "less is more" club, but that's simply too bad; more Testosterone Enanthate = more muscle, more strength, more size, and less fat. Now that we understand Testosterone Enanthate, lets talk about cost. You should be paying no more than $75 for a 10cc bottle of Testosterone Enanthate, dosed at 250mgs/ml. Of course, as usual, prices fluctuate depending on the brand or supplier, but $75 is a standard underground label range. Even so, you can easily obtain Testosterone Enanthate in high quality form from an underground lab for even less, as little as $40 per 10ml, but youll need to do some digging. 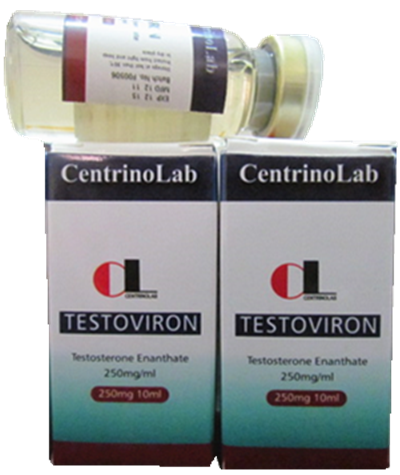 As for human grade forms, $100+ for 10ml is quite common, especially if its purchased directly from the pharmacy; however, with the right large supplier you can easily find $60 pricing; even Testoviron Depot, considered one of the best Testosterone Enanthate compounds on earth has been found for as little as $5 to $7 per ampule.